American actor Robert De Niro has been given the go-ahead to open a luxury hotel in London's Covent Garden. The actor has had plans submitted to Westminster City Council for the development of the 83-room hotel approved, which will be created with partners BD Hotels and Capco. 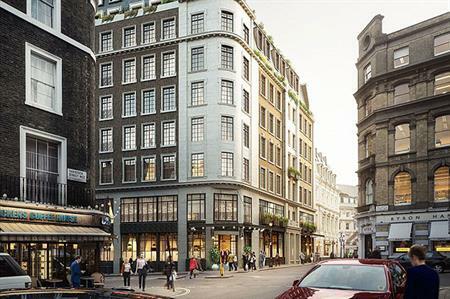 The Wellington Hotel will be constructed on the site of six historic buildings in Covent Garden, near the Royal Opera House. Work will begin in 2017, with the hotel due to open in 2019. The Wellington Hotel will feature a spa, two restaurants, a deli and a members’ club, built around a central courtyard. The London hotel will be a sister venture to De Niro’s Greenwich Hotel in New York. De Niro said: "London is one of the most exciting and cosmopolitan cities in the world. It makes perfect sense to develop a hotel that represents all of that in the heart of this city in Covent Garden. "The Wellington Hotel would honour the heritage of the area, while bringing the best of what we’ve done in New York to London."